City Hall has had problems with technology upgrades. Three and a half years ago, then-Mayor Michael A. Nutter announced that the city would spend $4 million to implement a computerized licensing and inspection system that would let people apply for permits online, and let inspectors more easily track applications and violations. "We'll spend some money, we'll save some money, and we'll make a lot of money," Nutter said at the 2014 news conference. The program was supposed to be fully functioning by the end of 2015. Instead, it is only halfway done and the bill has topped $10 million. Around the same time, the city hired a company for $15 million to replace its 30-year-old payroll system and sync it with pensions, benefits, and time management under the same computerized system, all by mid-2015. Already, $23 million has been spent on the project — and it's far from complete. City officials also wanted to move away from the thousands of Excel pages used to create annual budgets. A $3 million contract was signed to digitize the city's budgeting system and make it more efficient and transparent. After shelling out $1.6 million, they now want to scrap it. An Inquirer and Daily News review shows four of the city's most critical information technology upgrades have been plagued by cancellations, contractor disputes, years of delays, and other problems. Together, their combined price tag has already swelled $21 million above what city officials initially said they would cost, with no sign of a ceiling. Such seven-figure blunders rarely get noticed or widely shared with the taxpayers who fund them. Information technology projects are mostly paid through the city's capital budget, which averages about $1.3 billion annually. If one program goes over its projected budget, the money is moved from another initiative that was perhaps under budget. City officials say overruns and delays are to be expected. "Part of monitoring contracts is monitoring your vendor as you go along," said Rob Dubow, city finance director since 2008. "You are, over time, going to have issues with a variety of vendors. What you have to do is recover when that happens, and that's what we are doing." Last year, Mayor Kenney hired a chief information officer, Charles Brennan, who administration officials say is supposed to take a more hands-on approach to managing IT projects. Increasing that focus "will help contain costs and provide more accurate costs projections," said the mayor's chief of staff, Jane Slusser. Philadelphia's stumbles aren't unique. Jim Johnson, founder and chairman of the Standish Group, a firm that analyzes private- and public-sector technology projects, said government projects often fail because they have too much oversight and are too big in scope. "They like to create these big projects with lots of people and lots of money, and they just don't work," Johnson said. But complaints about Philadelphia's IT woes — and its slow, costly march into the modern age — have been bubbling. The four programs were part of a $120 million capital investment in city technology that started under Nutter. At a budget hearing this spring, Councilwoman Helen Gym said she was concerned that the current IT projects "are becoming increasingly more expensive, and as they become increasingly delayed, they become immediately irrelevant." In a letter last month to the chief information officer, City Controller Alan Butkovitz warned that "Philadelphia has a history of jumping into costly projects and failing its citizens when it comes to operating in the 21st century." "This is a trend that cannot continue," he wrote. 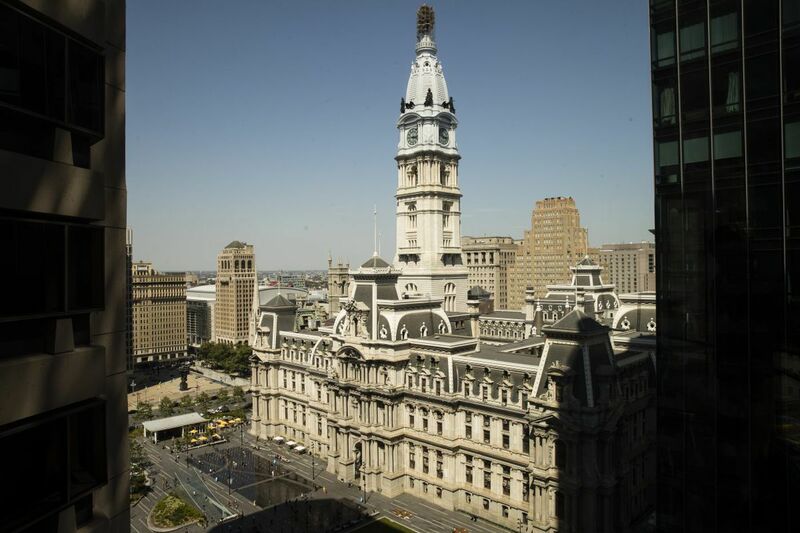 Pointing to Philadelphia's outdated and technology-challenged property assessment system, Councilman Mark Squilla noted the city is losing money and keeping its citizens from getting tax breaks they may deserve. "Values that are properly assessed would be a big bonus to residents and business. They are supposed to be doing assessments every year," Squilla said. "The [upgrade] costs keep running on, which means every year we have to allocate additional dollars to a system that should have already been up and running." That was supposed to all change 11 years ago, when the city embarked on a new computerized system called Computer Assisted Mass Appraisal (CAMA). "We're not using anything from that"
CAMA's purpose was to allow annual valuation updates on all city properties, which should lead to more accurate assessments and tax bills. In 2006, the Board of Revision of Taxes signed a contract with Colorado CustomWare Inc. to implement the system. Five years later, and after paying the company $4.3 million, the Nutter administration agreed to end the contract. What did the city get for its investment? No one could say. Carla Pagan, the Board of Revision of Taxes executive director who signed the settlement agreement, told a reporter last week to ask "the lawyers that negotiated that deal." Shelley Smith, city solicitor when the settlement was reached, said she did not recall its details or why the contract ended. Dubow, the finance director back then, also was stumped. "I don't think a lot of us know any of the details other than we know we're not using anything from that," he said. Still, the city trudged on. Shortly after signing the 2011 settlements, the Nutter administration took responsibility for property assessments and created the Office of Property Assessment. In 2015 — two years after the controversial Actual Value Initiative, which reassessed all properties at market value — it again tried to create a CAMA system, and budgeted $4.7 million to do so. Thomson Reuters won the bid and the city started negotiating the details of a contract. Then, according to city officials, Thomson Reuters pushed the start date of CAMA until September 2018, much later than the city had requested. So, the city walked away and started the bid process all over again, delaying the project further. In April, the city signed a $7 million contract with Plano, Texas-based Tyler Technologies to help launch the CAMA system. It's expected to go live at the end of 2019. Attempts to modernize the licensing system have endured similar twists. In January 2014, Nutter announced a $4 million project known as eCLIPSE (Electronic Commercial Licensing, Inspection and Permit Services Enterprise) for the Department of Licenses and Inspections. The hope was that it would enable contractors and residents to apply online for permits — instead of using paper forms — and give city inspectors instant access to such licenses and any violations in one online system. The project was to be rolled out in four phases, ending in December 2015. Instead, the implementation is ongoing — and the bill has grown to at least $10.7 million. David Perri, L&I commissioner, said increased costs are due to the city's adding a data warehouse and other tools not outlined in the initial contract. Perri noted that just the half-completed eCLIPSE system has generated $12 million in revenue because it helps inspectors scour Revenue Department records and identify tax delinquents. Business and rental license applicants are barred from getting approved until they settle their tax bills. In years past, with a paper system across several offices, those cross-checks fell through the cracks. "Folks were getting different permits without getting clearance on their taxes," he said. Perhaps no project has been as tortured as OnePhilly, an initiative to connect city personnel, pension and benefits data and payroll under the same system. The project was launched in 2014 with Colorado-based Ciber Inc. as the lead vendor, a $15.3 million capital budget and a July 2015 target for completion. Two years later, it's still in flux. Taxpayers have paid $19.3 million to Ciber and other vendors involved in the project, including $8.5 million in Oracle software licensing fees. The city also spent $3.7 million for 10 employees dedicated to that project. In April, Ciber filed Chapter 11 bankruptcy , and was purchased by a Michigan company, HTC Global, in June. City spokesman Mike Dunn said the city expects to pay HTC Global an additional $2.6 million to finish what Ciber started. But even after that, the city still needs to figure out how to complete the full project. So the current $25.6 million price tag for OnePhilly will likely grow. Finally, there's the budgeting system. The city contracted CGI Group Inc., a Montreal-based vendor, to create a performance-based budgeting system to replace the thousands of spreadsheets currently used to put together its annual $4 billion operating budget and $9 billion six-year capital budget. According to the July 17 letter from Butkovitz to Brennan, the city has paid CGI $1.6 million — but there is nothing to show for it. The city wouldn't comment on the CGI contract other than to say both sides are negotiating a "resolution." Butkovitz has launched an investigation into the matter. "The recurring failures," he said, "indicate that they're over their head in dealing with this."